Front Range Bears - The Front Range Bears is a social club for hirsute men and their admirers, headquartered in Denver, Colorado. The group originated in 1990 and was incorporated in 1993. Members of the Front Range Bears plan a variety of gatherings and events all year round where bears can come together and enjoy each other’s company. The Front Range Bears welcome all to sample our activities and gatherings. The Front Range Bears is a social club for hirsute men and their admirers, headquartered in Denver, Colorado. The group originated in 1990 and was incorporated in 1993. 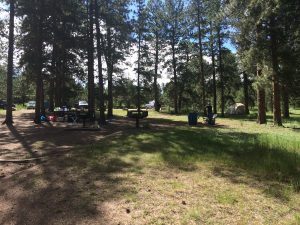 Members of the Front Range Bears plan a variety of gatherings and events all year round where bears can come together and enjoy each other’s company. The Front Range Bears welcome all to sample our activities and gatherings. 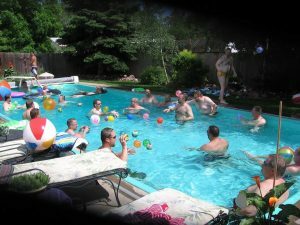 Register now for the FRB Annual Pool Party, July 13, 2019, 12:00 PM – 4:00 PM. We look forward to fun Summer Pool Party. This will be a POTLUCK! Its that time of year! Registration for Camp out! August 22, 2019 – August 25, 2019. FRB Annual Camp Out. It will be held in Woodland Park, Colorado. We have a larger site next to the last years location. Ticket price includes Campground, Breakfast and Dinner for Friday, Saturday and Sunday Morning, Beverages and campground activities. Detailed Agenda will be provided soon!! For 2019 the dues will be $30 per member. We are all getting a great club at that rate and we encourage you to renew if you are notified. Here are just some of the benefits you will receive from being a member of the Front Range Bears! Discounts at participating Merchants with your Membership Card. You can now have auto-renewal option for your membership. Now, you will be able to sign up to have your credit card or PayPal account automatically charged again each year. No more having to remember to renew your club membership. If you do not want to set up auto-renewal, there is a link on the membership sign-up page that will take you to a non-recurring version of membership. In which case you will have to manually renew ever year. Auto-renewal is perfectly safe and secure. And you have the peace of mind that your membership won’t accidentally lapse. Once auto-renewal is set up, you can manage it from PayPal. We do not ever store your credit card or financial information on the Front Range Bears website. Click the button below to renew your membership if you are not on auto-renewal in the Front Range Bears! Copyright © 2016 Front Range Bears. All Rights Reserved.